On December 7, State Assembly Speaker Robin Vos (R-Rochester) announced the list of Assembly standing committee chairs for the 2017-18 legislative session. The Assembly has forty-seven legislative committees in total, including five new additions: Federalism and Interstate Relations, Government Accountability and Oversight, Regulatory Licensing Reform, Science and Technology, and Urban Revitalization. In Wisconsin, bills must first be voted through standing committees before going to a vote in the full legislative body. Committees are created by issue area and bills are assigned based on the issue they address. Chairs are typically selected based on legislators’ professional experience, knowledge, or interest in specific interest areas. 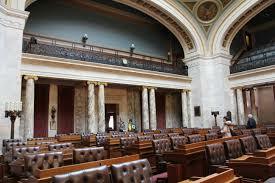 Committee chairs are responsible for scheduling public hearings and votes for bills. Full membership for each committee has yet to be announced.